The Foundation is very proud to have chosen Genevieve Higuera as one of our two winners this year for the Caroline Huetter Foundation Award. 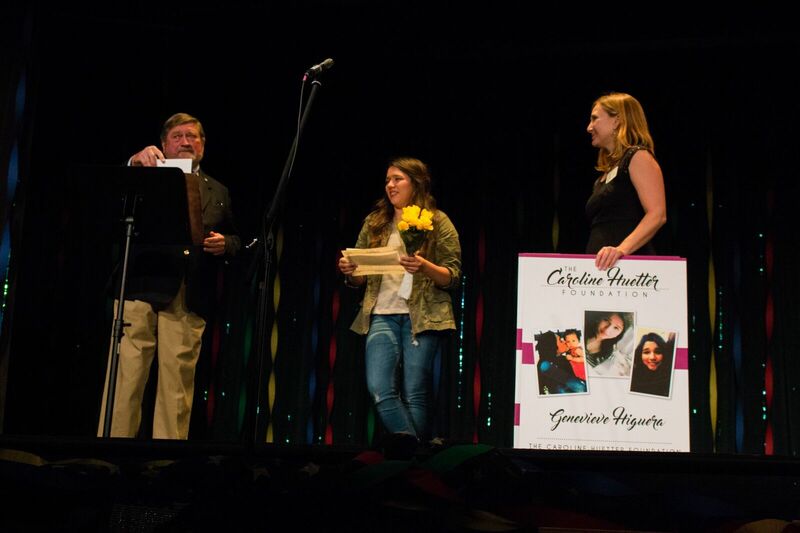 Genevieve Higuera receives her award from Foundation Executive Director John Huetter in a presentation earlier this year at the Paso Robles Youth Arts Foundation. Genevieve has voluntarily mentored hundreds of younger performing artists including dance and theater, through the Paso Robles Youth Arts Foundation, from which she is now graduated and has started college this fall. The award, including an unrestricted stipend up to $1000, is given each year to winners in recognition of the their open mind, kind heart, and caring for others without expecting recognition or reward. If you are interested in nominating someone for next year’s award, please visit our Nomination page, or contact us.